Predictive business process monitoring aims at leveraging past process execution data to predict how ongoing (uncompleted) process executions will unfold up to their completion. Nevertheless, cases exist in which, together with past execution data, some additional knowledge (a-priori knowledge) about how a process execution will develop in the future is available. This knowledge about the future can be leveraged for improving the quality of the predictions of events that are currently unknown. 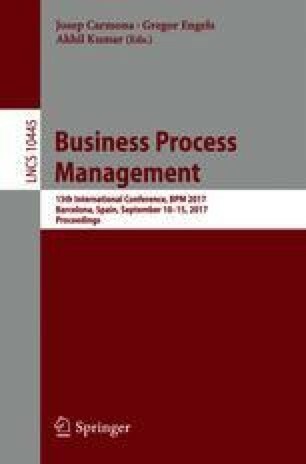 In this paper, we present two techniques - based on Recurrent Neural Networks with Long Short-Term Memory (LSTM) cells - able to leverage knowledge about the structure of the process execution traces as well as a-priori knowledge about how they will unfold in the future for predicting the sequence of future activities of ongoing process executions. The results obtained by applying these techniques on six real-life logs show an improvement in terms of accuracy over a plain LSTM-based baseline. This research has been partially carried out within the Euregio IPN12 KAOS, which is funded by the “European Region Tyrol-South Tyrol-Trentino”(EGTC) under the first call for basic research projects.